The other day, I was having a philosophical discussion with a friend about the horror genre, and he argued that it was an art form predicated on people who assert their dominance in an ultimately negative way. “I don’t like being scared!” he said. “Why would I want someone to do something I don’t like?” I argued that, basically, he’s dead wrong and it’s super duper fun to be scared effectively by masters who know what they’re doing in an ultimately safe and controlled environment. If you agree with my friend, well, you may want to read another article. But if you agree with me… then try these terrifying video games on for size. In some ways, Dead Space is your typical zombie narrative, just set in space. Yet it’s the execution that separates it from the pack. The developers actually studied photos of car accidents and combat to accurately portray their horrifying corpses. Any time you check things like inventory, maps, or objectives, the game doesn’t pause, leaving you vulnerable and susceptible to attack. And without spoiling anything, the bleakness of the ending left me shaken for days. This ain’t just “Dawn Of The Dead In Space”; this is something much more horrifying. 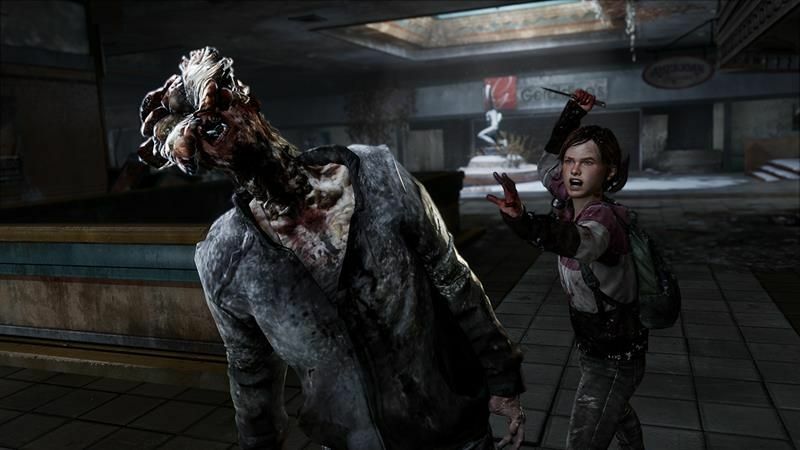 Fun Fact: While playing this terrifying and emotionally draining Naughty Dog masterpiece, during some of the intense stealth moments where you sneak up behind creatures, I would say things like “Nuh-uh, click-clackers, you ain’t gettin’ me!” to try and defuse the tension and sheer dread I felt. Fun Fact Followup: It did not work. Gordon Freeman may be stoic and silent throughout this game, but I know I’m not. I’m screaming at headcrabs. I’m hollering when those headcrabs consume human bodies and consciousnesses and turn them into zombies. I’m shaking in my chair when I realize the Marines are out to get me, too. And that ending… well, to avoid spoilers, I’ll just say this game hits both physical, visceral horror elements and cerebral, existential horrors with aplomb. In other words, this game is like the best parts of Alien and Aliens combined into one. As your characters progress through the time-hopping narrative, they lose their sanity. As they lose their sanity, odd things in the game begin happening. You see hallucinations. Enemies that aren’t actually there. The horrifying noises of whimpers and cries fill the soundtrack. These visions actually spill out from the world of the game and invade your sense of reality. For example, you’ll begin to see actual Nintendo GameCube error screens. Messages telling you your Memory Card is corrupt. A blue screen of death. It’s this ingenuity, this invasion of privacy, this assurance that you are not safe anywhere that secures this cult classic a spot on the list. 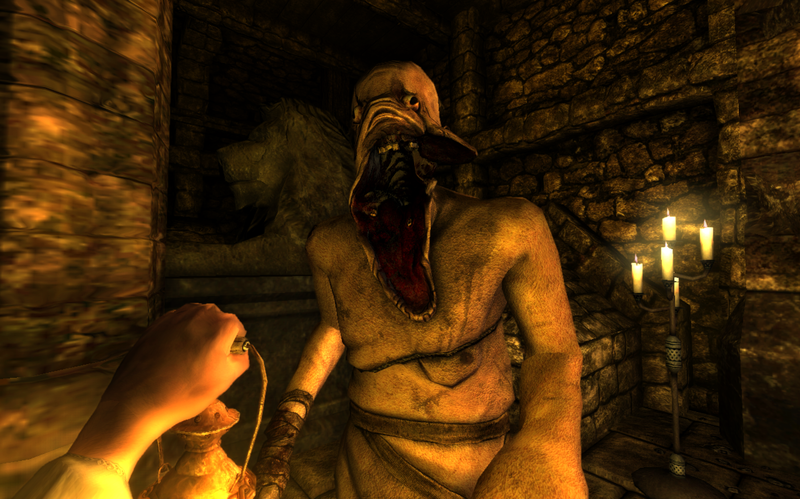 Amnesia: The Dark Descent took the idea of a sanity meter from Eternal Darkness and ran with it, crafting monstrous hallucinations and points of unreliability that shake you to your core. Plus, as an added treat of terror, the game offers you zero weapons. If a monster finds you, you best run, and you best run quick. Beyond the viscerally gruesome creature design, the game has an impressively terrifying narrative exploring the atrocities human beings are capable of, with a villain whose motivations include “gather blood from tortured humans” and “murder a child”. It all adds up to a devilishly unsettling game, one that makes you rely only on yourself to deal with the monsters of the world. Whether you’re capable is up to you. 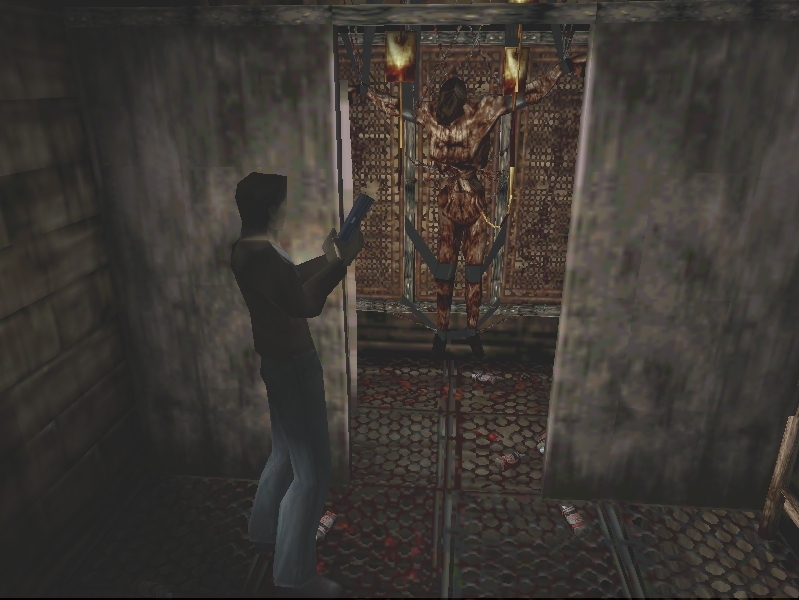 When it comes to horror video games, there are two eras: everything that came before Silent Hill, and everything that came after. It’s that important to the development of the genre. It introduced the importance of psychological terror over physical horrors. 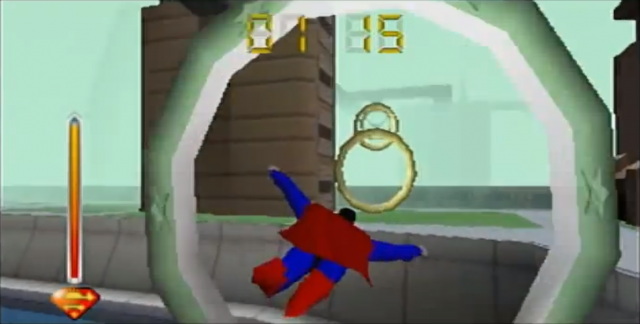 It instilled an atmosphere of constant dread that other games have been trying to keep up with ever since. It incorporated intense, borderline taboo ideas to video game narrative, and kept its conclusions frighteningly ambiguous. Plus, it’s just dang scary. To this day, I get a bit of a nervous twinge whenever I hear static. I’m a 26-year-old man. An adult. I’ve seen and experienced real-life traumas and horrors. I should not be this affected by a game — nay, a playable teaser — that is just walking through a hallway that loops. And yet when I finished P.T., I literally couldn’t sleep. It haunted me. It affected my DNA, my bones. There are the requisite jump scares and set pieces, sure, but I think it was the sense of impending doom that got me. The idea that hope is futile, that we’re all monsters capable of destruction, that our darkness will get the best of us. Jeez. Just thinking about this game makes me need to watch Mary Poppins or something, stat. The horrible controls. The constant gray vacuum you seem to be flying in. The glitches after glitches after glitches. Nightmare fuel of the highest order. Shudder. Which game spooked you the most? Which one barely raised an eyebrow? Which titles did we miss?